Item # 305912 Stash Points: 7,495 (?) This is the number of points you get in The Zumiez Stash for purchasing this item. Stash points are redeemable for exclusive rewards only available to Zumiez Stash members. To redeem your points check out the rewards catalog on thestash.zumiez.com. 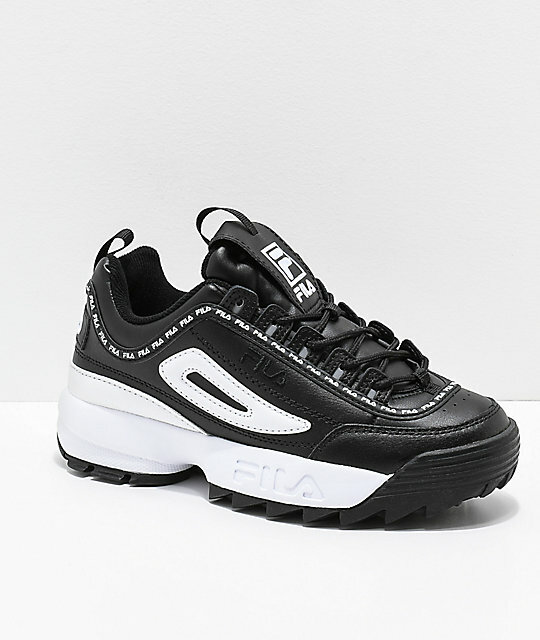 Give your personal look a retro-inspired vibe with FILA's Disruptor II Premium Grey Suede and White Shoes. Purposely designed with a chunky composition that remains lightweight despite its exterior structure. 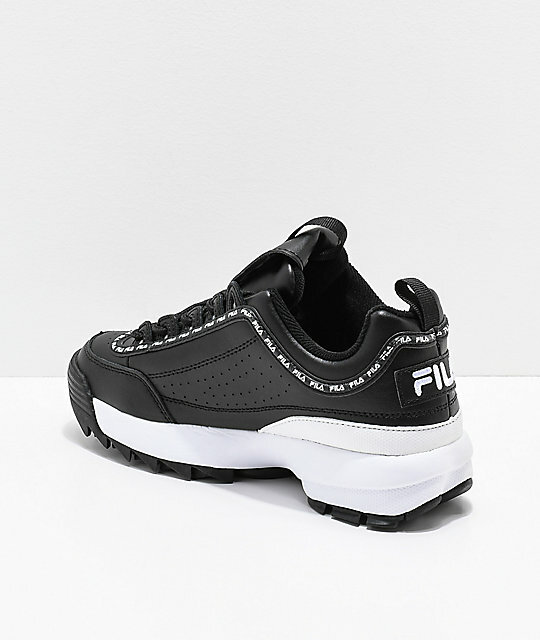 Padded and comfortable with an EVA cushioned footbed, the Disruptor II accentuates any outfit with classic FILA branding and an overall eye-catching personality. 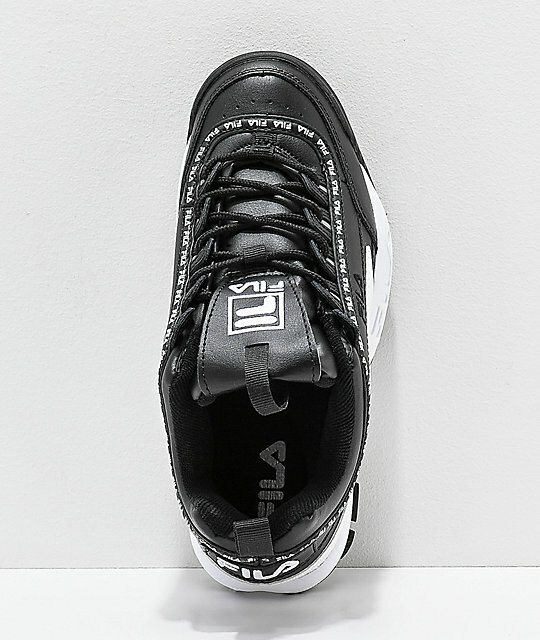 Disruptor II Premium Black and White Leather Shoes from FILA. 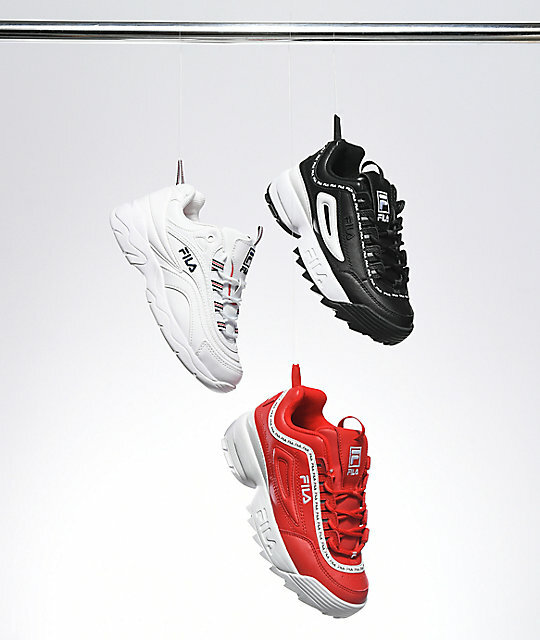 Leather upper with double stitching details throughout for durability and perforation details on inner sidewalls. 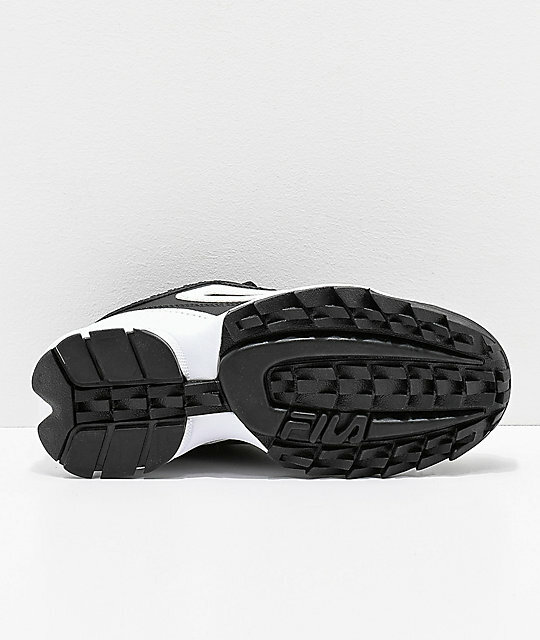 EVA molded rubber outsole with deep tread pattern for grip.